transportation tasks, narrow passages and mobile manipulation. SCITOS X3 can turn on the spot. 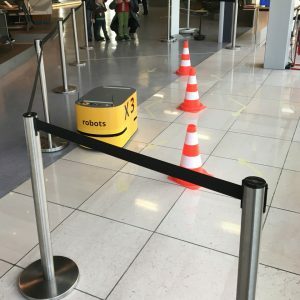 The robot uses laser scanners on the front and back to safely change direction quickly without driving. SCITOS X3 is equipped with a navigation software specifically developed by MetraLabs and proven in practice. German technical inspection association TÜV Thüringen has recently certified the safety functions according to EG guidelines. 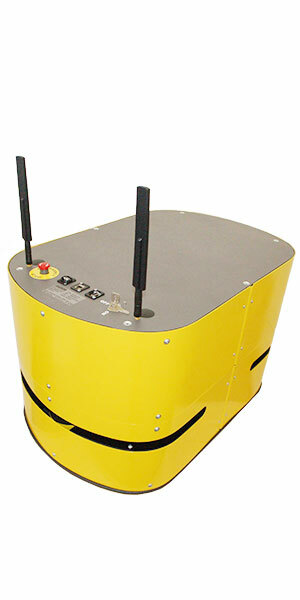 MetraLabs develops and manufactures their robots in the company to the highest quality guidelines. Fabmatis uses the autonomous navigation systems of MetraLabs exclusively in the semiconductor industry. Our clients benefit from the autonomy and high flexibility of the systems as well as from the long-term and trusting cooperation with MetraLabs. SCITOS X3 has already been successfully deployed in many settings. 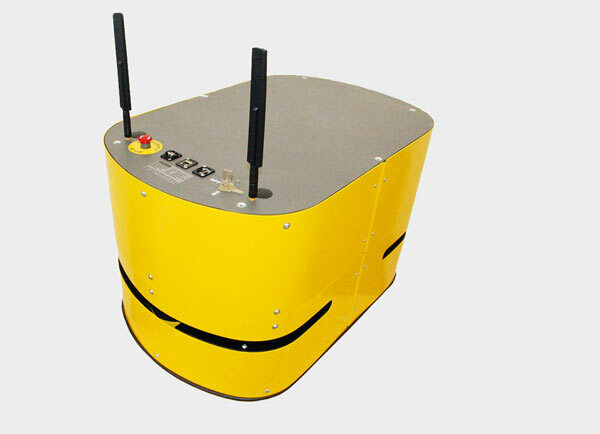 The mobile robot platforms can be customized to suit special customer needs without difficulty. SCOUT: Automated guided vehicle system for flexible materials handling in clean rooms. Distribution by Fabmatics GmbH.